So, on October 17th I published the books. Shortly afterwards, I started my Twitter account. I had a better base on Facebook, with some 300 Likes, and experimented on building a Tumblr blog. This has now (d)evolved into a place for me to see photos and quotes I like, with just a dozen followers, whereas the Twitter account has mushroomed to almost 1,000 followers. In early December, it was time for my second giveaway. Once again, I used the Self Publisher’s Showcase and the AMC tool, this time publishing on the second half of the list. I had also written a couple of guest blogs pieces, the most successful of which concerned my thoughts on self-publishing vs. traditional publishing and the funny story of how my dad learned I had become an author. I was selling far more hard-copy books through Createspace, most of them because friends and relatives wanted to use my book as a novel Christmas gift (some 100 people were kind enough to do this). Since they wanted autographed copies, I ended up ordering these books using my author’s discount, 5-10 at a time, and signing them, before selling them to my friends. Money-wise, I wanted to cover my p&p costs, not make a profit, since my priority was – and still is – to establish a brand, not to make money at this stage. Then, in late December (21-22) I had my third giveaway. Again, I tweeted about it, this time sending direct tweets to some of the friends I had made, asking them to retweet (I felt embarrassed doing so, but I bit the bullet and groveled. It paid off, as you’ll see). I also used the Self Publisher’s Showcase and the entire AMC list, spending some $60 to ensure my listing. I had also increased awareness of my book with some more interviews and book features. Finally, I later realized that the giveaway had been picked by a kindly Reddit editor, which helped. This time, the giveaway reached almost 4,000 people, astounding me. Based on the strength of that, the book reached #1 in Metaphysical and Visionary and #73 in the entire Free Kindle Store (it helps picking less competitive categories for your book). 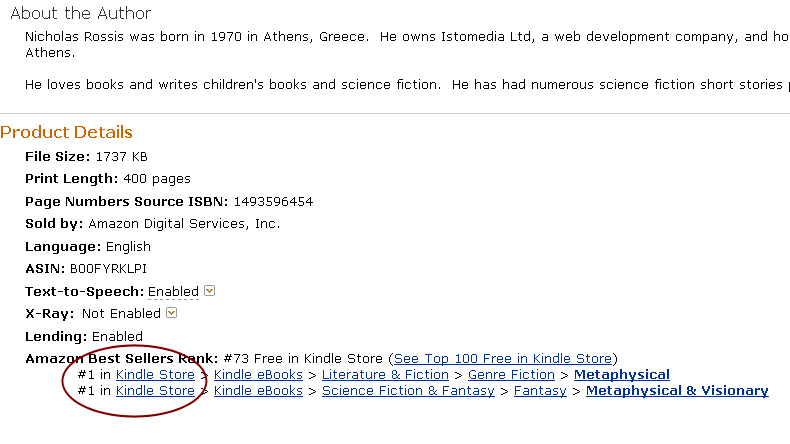 Within a brief, ecstatic moment, I had reached #504 in Author Rank for Science Fiction. I was still unsure as to why the sudden success, so in January I only promoted Year 18: The Schism, the first book in the series, using up all 5 free days simultaneously, as I realized the 3-month period had almost expired and I had run out of days. People say the best days are Thursday, the weekend and Mondays, but in my experience it’s more like Thursday, Sunday and Monday. This time, I advertised on the five sites that I felt had proven most successful. These included the Self Publisher’s Showcase and SweetFreeBooks, among others. I also mentioned it (to a much smaller degree) on Twitter and Facebook. 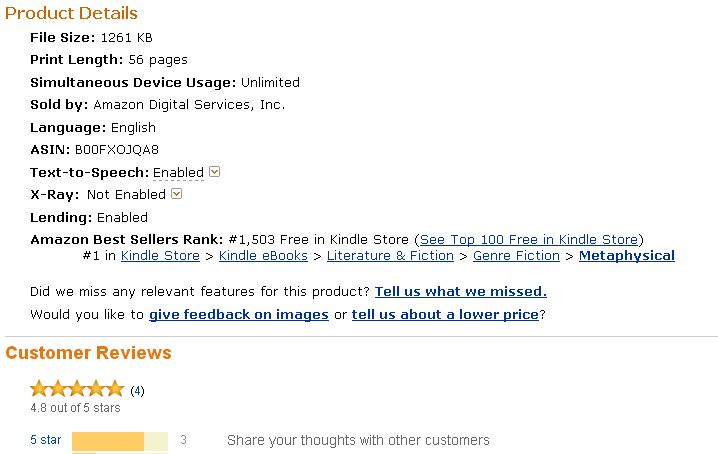 During the five-day giveaway, some 400 copies were downloaded, helping Year 18 reach #1 in Metaphysical. This time, however, sales of the other book remained pretty steady, at a couple daily. The fact that both books have reached #1 at some point is a great selling point. Buying a book from an author you’ve never heard before is a risk. We all have limited time, and too many books to read. “Author of the international ‘best-selling’ series Pearseus” sounds much more convincing, than “new author”. It doesn’t sound too bad as an answer to the dreaded question, “so, how’s your book doing?”, either. My number one conclusion? Before starting any marketing, be sure you have the best possible book you can. For a remarkably small fee, I used the great editing services of Tahlia Newland, and I didn’t regret it. I also had a dozen people read it, to make sure we had weeded out as many typos as possible. I’m not saying you should wait until your writing is perfect to publish – for there is always room for improvement – but that you should confident it’s the best possible book you can write. Just because it’s so easy to get published nowadays, you shouldn’t rush to do so without checking thoroughly. Typos may be inevitable, but make sure they’re as few as possible before you publish. So, what plans do I have for the future? This month, I focused primarily on giving away copies to my new friends on Twitter who kindly agree to review them afterwards. I hope this generates more reviews (my books currently have some 16 reviews in total, almost half of them from friends). My next step was to place a promotional banner on KBoards, for $40. If that translates into enough sales, I’m planning to follow that with more banners, but always focused ones. People swear by Ebook Bargains UK, Kindle Books and Tips and Bookbub. The latter offer some very interesting statistics, although their prices are much steeper than others’. I’m also running an Indiegogo campaign, again with an emphasis on humor (if you like my post, feel free to contribute – perks include naming a character after you)! I’d like to be able to print out a thousand hard copies, which would reduce the cost of each book from almost $10 (incl. p&p), to a little over $1. This would allow me to organize book tours and events in bookstores. I would also like to make a promo video. Finally, I’m planning a giveaway in collaboration with SamanthaLaFantasie (available after January 31st); another great person I’ve met online and a great promoter of Indie authors. Someday in the near future, I’d love to write a next post describing how well or poorly all that has played out and share my next experiences on book marketing. None of this would have been possible without Paul Martin’s tireless assistance. 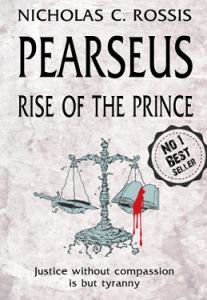 I’d also be amiss if I didn’t mention some other very helpful promoters like Bookgoodies, Koobug, Bookvibe, the Indieview, Tony Gilbert, ABCplus, Nokbok and last but by no means least, the wonderful Irene’s Book Oasis. These are just some of the many great people who are helping out Indie publishers. I apologize if I’m forgetting someone; since starting this weird journey, I’ve been astonished by the amazing, helpful people that comprise the Indie community. It feels strange to realize that people who are nominally your competitors are rooting for you and doing everything in their power to help you succeed. In a short three-month period, both my books have reached #1 on Amazon, and I have climbed one of the steepest learning curves I’ve encountered in my life. It’s been a roller coaster experience, but I’ve loved every minute of it. Along the way, I’ve met some great people, people who share the same passion as me, either as readers, reviewers, editors, proofreaders or authors, and this may well be the best part of this journey. It is these and the many friends I’ve made on Twitter that prompted me into writing this post, in the hope of helping others who wish to publish and are worried about making it, and it is to them that my final words are addressed: Take the plunge, and I promise; there’s a lot of people waiting to help you. 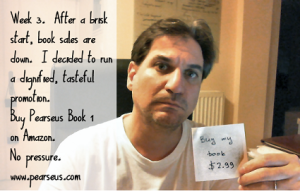 This post is full of many useful, if daunting in their number, tips for book promotion. I have just published my first book (number two on the way) and feel I’ve already made a mistake by launching it onto Smashwords (sold none) and Amazon (so far 22) thereby not being able to sign up to KDP – and have free book days – trying to decide if I should just stick with Amazon and get the benefits of KDP. I too had no author platform before publishing and am trying to get to grips with Facebook and Twitter – and yes they are taking me away from the writing! I think following this the route is just to go with Amazon – unless there is suddenly a surge of interest on Smashwords – I’ll give it to the end of the month and then stop prevaricating – many thanks for all this info! Nicholas, that’s exactly what I have in mind when I think of “sharing” among new authors: specific site references, stats, options, regrets, backpedalling, re-assessing. This is is the first post that fits my idea of truly sharing, although I’ve read many similar posts with generic, run-of-the-mill advice. Thanks a million! @Georgia, I agree; in my view it’s best to start with KDP, as it is the easiest way to get your work seen by as many eyeballs as possible. Rayne had complained in the past that not many free books are read, but I have to ask; if there’s a better way? 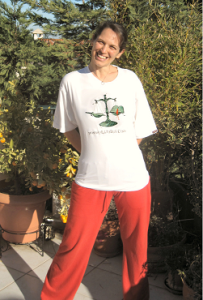 @Maria (MM), your enthusiasm is truly inspiring, thank you!! Well, Well, Well! Nice seing you here too, Nicholas! Congratulations for reaching those high numbers of sells, even if you did not make money. This is a very interesting and enlighening post! One that scares me even more though, as I am at the last edits before print and have no idea where I am going. I am so tech-limited that I become numb even at the idea of all that is involved in promoting my book. I am publishing with iUniverse…with which I haven’t been very happy. I belong to this Writing Tribe and have met great people, but I am the last in progress. My age of 68 does not help. I only have one book, Sailing to Ithaca. I wish I could afford to pay someone to promote. All my friends and family will buy…hopefuly, I will hit the 500-book mark. Anyway, thank you for sharing your experience! Wishing you all the best! Congratulations on your success. 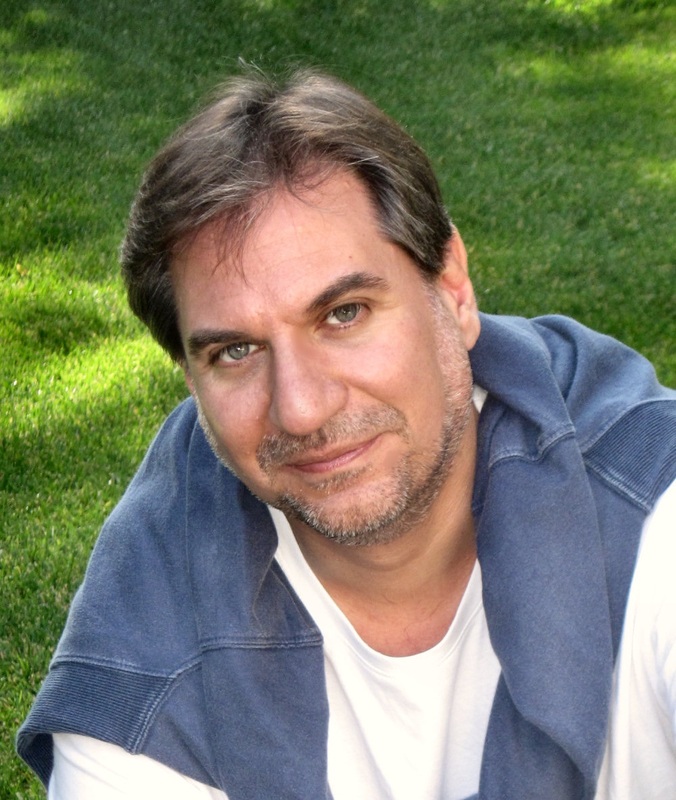 As a new author, I deeply appreciate your generosity in sharing your experience. Thank you so much. I wish you continued success. @Deborah It’s great to find people who are as passionate as me about books! I think all authors should count themselves lucky to work with you. Thank you for all your efforts and continued support. @Katina, it can be a bit of a struggle at first, but promoting your book can be almost as much fun as writing it. 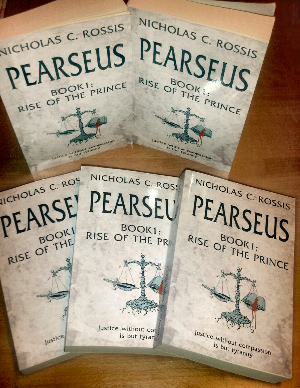 I never thought I’d say this (I cringe at self-promotion), but marketing Pearseus has been a blast. I hope the resources I have listed here prove helpful to you, and I’m always a tweet away @nicholas_rossis if you need any help! a question- if you want to cross reference the books to each other, how do you know what to cross reference to if they are not published yet on Kindle. Or are they just mentioned, but not hyperlinked? Did I phrase my question right? Nicholas, what I like about your article is that you put together a plan of attack without really knowing what to expect, and you made adjustments based on the results. Being an author is a tough business, but you are on the right track thinking that the marketing of the product is just as important as the product. Thanks for sharing your experiences. First of all, well done on writing a first class article here. It very much confirms some of the things I’ve thought about doing, but without an actual clear strategy, which you’ve very much helped clarify for me here. I’ve yet to actually publish anything, instead choosing to give myself at least a year of blogging, writing book reviews, getting to grips with twitter and Facebook, and generally building a readership via these media – I’ve seen too many books languishing in the Amazon kindle section for months on end without a single review, to publish without such efforts first; seven months in, and I’m feeling much more confident of at least getting some initial feedback, but your thoughts on publishing two books simultaneously definitely caught my attention so many thanks for that. Hi Paul, I think what you are doing is a really good idea and I wish I’d done the same. I did it the wrong way around, just concentrated on the book and getting that out before having any engagement with the industry at all. New to twitter and Facebook and only just started writing posts on my blog – in hindsight its a surprise I have any reviews at all! As it is I think I’ve been lucky. I was actually putting off the whole social media bit but have found I love it – the writing world is very generous and I have many new and very kind supporters. I am trying to get my second book out this summer, as Nicholas says I think that will help sales as well.So I wish you all the best with your writing career and look forward to hearing more from you. Congratulations, Nicholas! I’m going to adopt some of your suggestions with my own books, and see what happens. My failing has been lack of focus, although with my most recent book I’ve been focusing on Goodreads, and plan to combine my readers there with a Kindle free day in the summer and see what happens. This is nicely delineated. I’ve never self-published; however, I am planning to do it with my first poetry collection, adding to it. I’m going to follow your platform as an experiment! Thank you for sharing! You are indefatigable, and I love your can-do attitude. Great article. Our experiences have a lot in common. I launched the terrorism thriller Beyond Odessa back in Jan 2013 on KDP. My social media marketing efforts haven’t produced much in the way of sales. It seems to take 10 or 12 bazillion tweets and re-tweets to generate (maybe) one sale. A single email by a helpful coworker can generate 10 over a weekend. I nonetheless drive on with Twitter, Facebook, and Pinterest. It can’t hurt and you can’t beat the price. I’ve bought some advertising on the UK Kindle Users Forum but I can’t link it directly to increased sales. That’s ok. I’m happy to provide a little support to that forum. Like you, I’ve given away hundreds of copies to get exposure. That probably gained a review or two but not many follow-on sales. I’ve tried a couple of Kindle Countdown Deals. No huge sales boost but they did gain a little market penetration in the UK. Pricing remains a mystery to me. Finding the “sweet spot” is no easy thing. There are free marketing opportunities outside of social media. My book’s website http://www.beyondodessa.com is on WordPress (free). It has a link to a video trailer made on Animoto.com. Animoto lets you make a 30 second video for free. On the website I included a link to download the free Kindle reader and, of course, a link to the book on Amazon. Business cards (which I make myself very cheaply) can be tacked to bulletin boards and given to potential readers. I share your admiration for the Indie community. The encouragement and shared advice has been great. This is a tough business. I’m still happily floundering and experimenting. I hope my comments added value to the discussion and perhaps give some fellow Indies an idea they hadn’t considered. Thanks for the great post Nicholas, just found it via SelfPubShowcase on Twitter. I think it’s terrific the way you’ve shared how you’ve gone about trying to build your platform as a new author. For most of us starting out it can seem a bit like blundering around in the dark, completely hit and miss. The learnings we get from experiences like yours are invaluable. You didn’t have to take the time to post it here, so thanks. For others to come on and troll about the title of the post being misleading seems the epitomy of bad manners, given how much you’ve obviously put into it, and the useful info you’ve shared. Nuff said. Like many unpublished authors I’ve been writing half my life, but full time work and raising children limit the hours and the energy left over, so I felt really chuffed when I finally got my first ebook over the line on Amazon and Smashwords just over 18 months ago. That euphoria was pretty short lived though when the realisation set in that the 8 years spent writing it was the easy bit, as I hardly sold a single copy, for the same reasons you talk about in your post. I blogged about it myself just over a year ago: Thanks for the great post Nicholas, just found it via SelfPubShowcase on Twitter. I’ve put out a couple of books since the first one, but lacking the spare time to really focus on marketing them, they’ve both struggled to get sales or reviews. So reading your post is a timely reminder that they’re not going to sell themselves. I need to put some time aside to get serious about social media, and using some of the promotional tactics you’ve mentioned. I’ve been agonising over whether to remove them from Smashwords and just go with Amazon. I’m torn because Smashwords seem like a nicer company to me who do more for authors, and I’ve actually sold more through them than Amazon (but I’m only talking in tens of books, not hundreds, for what it’s worth). However, by being on both sites it means I can’t do the ‘free days/giveaways’ promotions on Amazon which, from reading your post, seems to be the way to go, in terms of raising my visibility and getting reviews etc. Think I may need to bite that bullet soon, and perhaps pull one of my books off Smashwords to leverage ‘free’ and see what effect that has. Also, I purposefully avoided asking friends to review my books, as it felt to me like I’d be cheating, but since reviews seem to generate sales and more reviews, I find myself in the chicken and egg situation, so I may need to swallow my pride and consider that tactic too. Be interested how you get your Twitter followers to do reviews Nicholas, do you send them free copies? I’m also interested in your experience with Createspace. Is the quality of the books good, and do you have to lay out much cash upfront? You say you sold them mainly to friends and relatives, but do you feel having a print option available online has also helped? I’ve just focused on ebooks so far, so I’ve not really looked seriously at Createspace. Sorry, didn’t mean this too turn into such of a leech. Thanks again for your story and all the great tips, all the best for the future. Sorry about the repeat paragraphs in the middle, don’t know what happened there. Thanks for responding so quickly, and for your perspective on quality of the Createspace books, I will have to look into them. Are there any big upfront costs to get books printed on Createspace, or do they take their cut from your ‘print on demand’ sales? When you said in an earlier post that you hadn’t had any sales at all on Smashwords, I wondered if you’d been checking the sales on their distribution channels like Apple, Sony, B&N etc, as Smashwords don’t flag them very clearly on your dashboard, so if you didn’t find your way to the sales reports, you might think you’d sold less than you did. My three books so far, I’ve gone with both Amazon and Smashwords, but my latest book will be ready in a few days and I’m seriously considering enrolling that on KDP Select to experiment. If I don’t see a benefit I can always pull out after 90 days and roll it out to the other channels. But once you’ve got it on Smashwords, it can be a bit trickier to co-ordinate getting it taken off all their affiliate distributors to move back in the opposite direction. And perhaps having one book on Select while keeping the others on Smashwords etc is a good compromise. As ever in this game it seems to be a case of experiment and learn. Good luck with your own books Georgia. Frank there’s no hidden costs to Create Space, it’s just your time and effort. One tip I would pass on is to use the PDF proofing rather than getting them to send you a printed version. This hasn’t happened to me, but I’ve heard of someone who asked for a printed proof, and then a second, only to find that Create Space must have printed about 5 at a time, and so these supposed proofs were going out when people subsequently purchased the books. As I say, not my experience, but then I used the online proofing and downloaded a PDF, so there was no printing involved. Big thanks to you, Nicholas, for the links. Like you I’ve started with no real customer base, so I’m still very much building it, and like you my first couple of KDP promotions haven’t gone anywhere fast. So I was already starting to think along the lines of getting onto groups like this, and you’ve confirmed my suspicions that this will help (not expecting miracles!). I put a couple of my books on Smashwords for free and with the fantasy quartet I’ve written I have to say that it helped to have the first book for free. However the number of freebies I gave out hasn’t translated into anything like the same number of sales for the other three. I think it’s because people download free books like crazy but then take forever to read them, because I found that those folks who must have read the first book were then buying all three others in one go – so there was nothing wrong with the story, just in getting the downloaders to read the damned thing! So I’ve now pulled the first from being free once I passed the 1,000 downloads – I figure that’s enough people to spread the word if they actually bother to read it, and if they’re not doing that then why am I giving away a lot of hard work? So I’ll now be looking to follow up on the links you’ve given and see what the results look like. Good luck with your own indie publishing, and thanks for the post. Thanks for the tip off about the CreateSpace proofing, L.J. I’ll definitely look into that. Best of look with your own sales picking up. This business is like trying to find your way round a darkened room where they keep moving the furniture. But hopefully we’ll eventually get our bearings. All the best. Thanks for the information Nicholas.